Getting one star reviews on Merch By Amazon is inevitable if you sell enough shirts. Usually it happens due to printing issues that are beyond our control or sizing issues with the Anvil shirts that run extremely small. 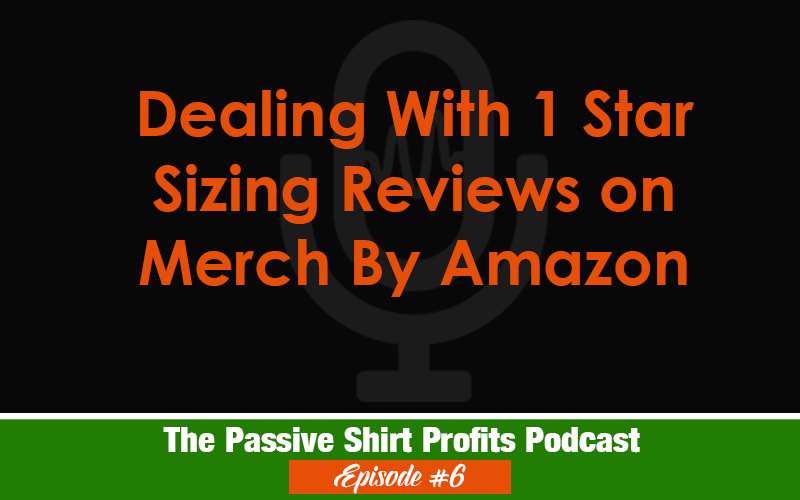 In this short podcast, I share why I stopped advising shoppers about the sizing in the description/bullet points and why 1 star reviews can actually work in your favor in the long run.